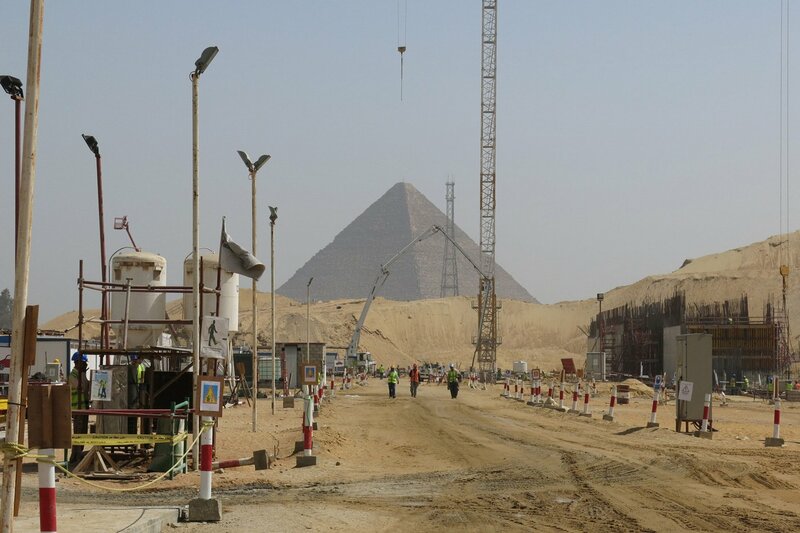 On the Giza Plateau, a new and splendid museum, due to be completed in 2015, has taken shape. The objective of the museum is to present Egyptian historical artefacts in an appropriate way. The three pyramids of Giza have been visually integrated into the new museum. Approximately 130,000 m³ of concrete was needed for the realization of the exhibition area. A large part of the concrete construction is made of white and grey architectural concrete. Concrefy was tasked by the Besix-Orsacom JV consortium to optimize QA/QC management, and to improve concrete quality.